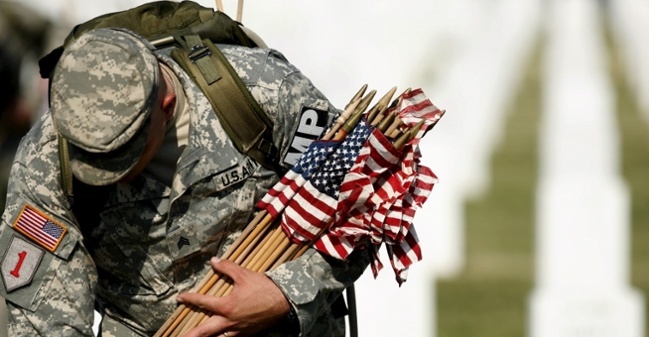 Who Will You Honor This Memorial Day? In the wake of The Civil War, war widows began a movement that continues to this day. Its battles had claimed more lives than any conflict in U.S. history, and those left behind went one-by-one to lay flowers on the graves of both Confederate and Union Soldiers to honor the fallen. It was an act of generosity that caught the attention of the nation and inspired what we now know as Memorial Day. As we continue this time-honored tradition of honoring the nation’s fallen heroes, we want to recognize the efforts of one of man who gave a voice (and a smile) to an entire generation of American GIs. As an enlisted Infantryman in WWII, Bill Mauldin experienced life on the battlefield and shared the stories of the average Soldiers who endured the dangers, discomforts, and difficulties of war as they worked to fulfill their duties through his characters Willie and Joe. Top left: Mauldin’s Pulitzer Prize winning cartoon illustrating the difference between the reality of war and the media’s portrayal of it. Top right: Mauldin’s self-confessed favorite cartoon. 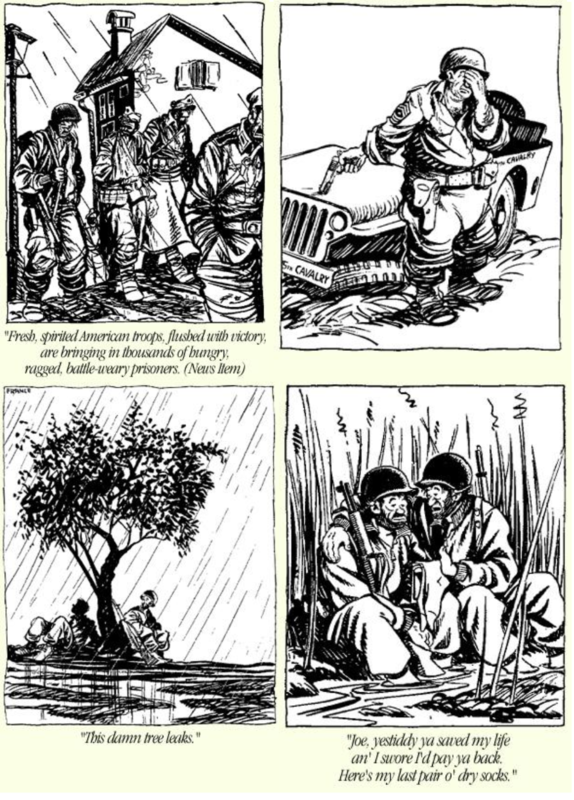 Bottom row: Examples of Mauldin contrasting the humor and difficulties of war for the average Soldier. Chicago Tribune reporter Bob Greene worked with Mauldin after he returned from military service and later recalled, "Mauldin, and his work, meant so much to the millions of Americans who fought in World War II, and to those who had waited for them to come home. He was a kid cartoonist for Stars and Stripes, the military newspaper; Mauldin's drawings of his muddy, exhausted, whisker-stubbled infantrymen Willie and Joe were the voice of truth about what it was like on the front lines." His cartoons told the realistic story of what is was really like for the “grunts” and were read wherever troops were stationed, whether it was Italy or the United States. Soon after its first publication, the cartoon become a way for the voiceless to catch the attention of top military leaders. In fact, Gen. George Patton threatened to have the Stars and Stripes banned if Mauldin insisted on having unkempt heroes on its pages. That threat ended when one of Mauldin’s fans Gen. Dwight D. Eisenhower recognized the cartoon’s worth to the enlisted men it represented. 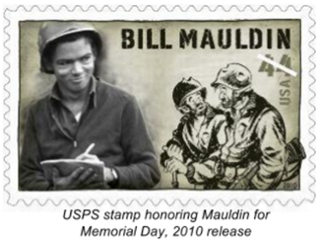 As you pause this Memorial Day to remember our nation’s fallen service members, learn more about the incredible life and work of Bill Mauldin, Greene’s entire profile of him at CNN.com.